Entering Saturday’s 67-55 loss at DePaul, Providence was shooting under 40% from the field and making 3-pointers at just a 28% clip in conference play. Those numbers took a hit after the Friars connected on just 28% of its shots from the field and 24% from beyond the arc against the Demons. Providence shot the ball well in non-conference games, but have seen their percentages nosedive in Big East play. In particular, the Friars’ veterans have struggled. Alpha Diallo’s numbers across the board have been beyond solid in conference games (16.9 points, 7.6 rebounds, 3.1 assists), but like his fellow upperclassmen, his shooting percentages have fallen off in the past month. He’s shooting 41% from the field and 29% from 3 during that time. Senior Isaiah Jackson entered conference play shooting 44% from beyond the 3-point arc. He has gone 6-42 (14%) from deep since. Similarly, junior Maliek White closed non-conference play strong, and was shooting 40% from long range in those games. He has made 4-21 (19%) from three in Big East contests. White was a 34% shooter from deep last season, while Jackson was 36% a year ago and 40% the year prior. As competition and opponent familiarity has increased, Providence just can’t seem to score with any consistency. 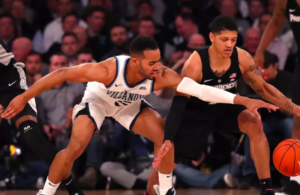 In past seasons Providence has been lifted by experience at the point guard position, but the Friars have struggled somewhat from beyond the arc since Bryce Cotton’s senior season in 2014. There have been great individual marksmen during this time. Cooley has coached two of the best 3-point shooters in school history. 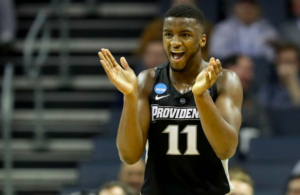 Bryce Cotton made the second most threes ever at PC, while the 2016-17 Friars benefitted from an outstanding shooting season out of Jalen Lindsey (46%, over 70 made). The Friars’ inability to create space is part of the reason why Nate Watson took just four shots on Saturday, and why they lost despite creating 21 turnovers and making 16-18 (89%) at the free throw line. 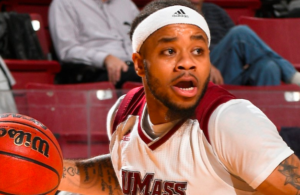 It was a similar story in Wednesday’s loss at Seton Hall. 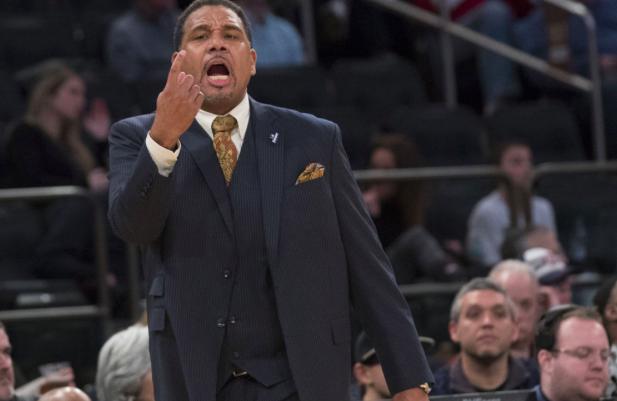 The Pirates turned the ball over 19 times, Providence made 14-17 free throws, and yet the Friars shot 38% from the field and 31% from deep in a two point loss. Last weekend Providence was able to defeat DePaul at home, while shooting just 4-21 from 3. On that afternoon freshman AJ Reeves returned from a foot injury to knock down three first half 3-pointers. Getting Reeves back to regular minutes will certainly help. Cooley and his staff targeted scoring when recruiting the four man class of Reeves, David Duke, Jimmy Nichols, and Kris Monroe. Reeves was shooting 47% from long range prior to his injury, and Duke knocked down three 3-pointers in scoring 17 points on Saturday. Duke’s has made 35% of his threes this season. Redshirt junior Drew Edwards should also help down the stretch. He had made 9-18 threes in Big East games prior to Saturday, when he shot 0-4 from the field and 0-3 from deep. There are a number of reasons why Providence has struggled with its outside shooting in conference games — shot selection, youth at point guard, Cooley trying different lineup combinations in a seemingly endless search for consistency, and at times open shots simply haven’t gone down. Providence scored just two field goals in the final eight minutes of the second half — a Duke three and a Duke layup — both scores came off of DePaul turnovers. At 13-9 overall and 3-6 in the Big East, there is significant work to be done if the Friars want to reach a sixth consecutive NCAA tournament. Providence is one of just 13 schools to have made the NCAAs the past five years, and one of only three in the Big East (Xavier is also 3-6 in the Big East this year and having shooting issues of their own). Providence’s defense will keep them in games. Since a double overtime loss to Georgetown on Jan. 12, the Friars have held five of its last six opponent under 70 points, and with the exception of a road loss to Marquette, they have turned opponents over at least 17 times. Yet, the offensive droughts have been the story of Providence’s season since conference play began and it was the reason why a winnable game at DePaul slipped away late. it is not as if they are not getting good looks outside of the arc.In yesterdays game DePaul played off the shooter and the team just couldn’t knock down wide open shots.Hopefully AJ Reeves will return to the lineup and give us the consistency we have not had since his injury and we get on a run that takes us into the BE tourney. On the bright side our FT shooting has improved greatly and has kept us in the games. Lets Go Friars! Didn’t like AJ’s body language during the second half yesterday. He seemed very disengaged during several timeout shots. Also, why has Emmit Holt not been on the bench the last three games? Did his waiver request get denied and has he left the team? Re Lindsey, my opinion is that the overall reason when a senior laden ’17 – ’18 Friars edition arguably didn’t quite reach its potential (not to say that they were a bust) is that JL more or less lost his shooting touch, especially down the stretch. As for today, A. Diallo is consistently carrying his weight, and needs help. Bill Parcells once famously said “You are what you are,” but it feels like the Friars actually aren’t what they are in terms their record, and in fact are better; but that doesn’t mean much unless the dubs start coming more often. Georgetown Wednesday night! Just hoping one of those guards steps up and become the leader this team needs!! GOFRIARS!!! Ed is playing too many people, hard to get rhythm with your court mates when you are constantly playing with different players. Isaiah and Maliek have been awful. Need much better from upperclassmen. Great recruiter? Can he coach? Called a great recruiter? A great coach? Well, the shooting woes continue tonight vs. Georgetown. Through yesterday, Providence was no. 280 out of 351 D1 teams in field goal shooting %, with no Big East team behind them. They’re probably another notch or two even worse after tonight. You have to pity Diallo, who once again tonight got no help. Hopefully they’ll come around, but at this point, they’ve probably shot themselves out of the Dance, absent the unlikely event of winning the BE tourney. Tonight they lost it when they allowed that 0 – 11 run in the last 2 1/2 minutes of the 1st half. …tough losing by 9 in your own barn, esp. when the winner comes in a 5 point dog; wow.